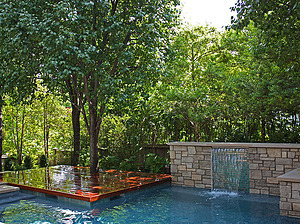 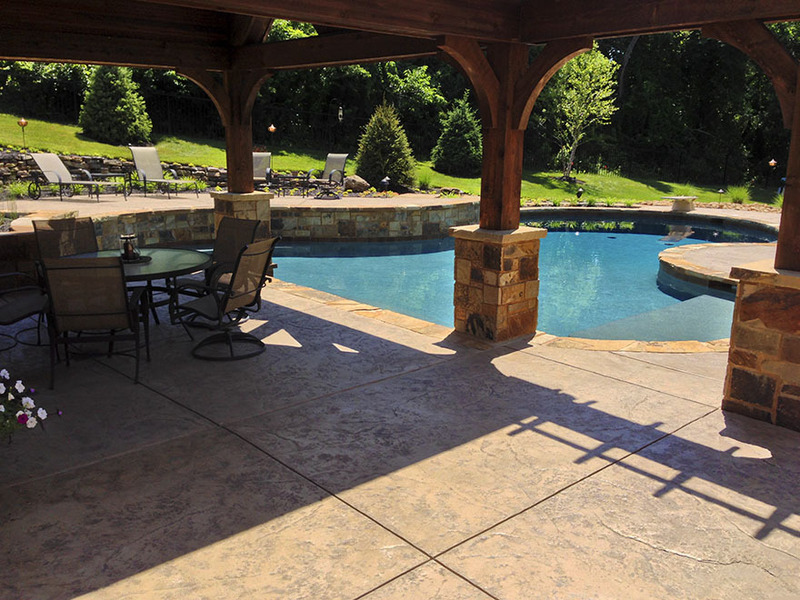 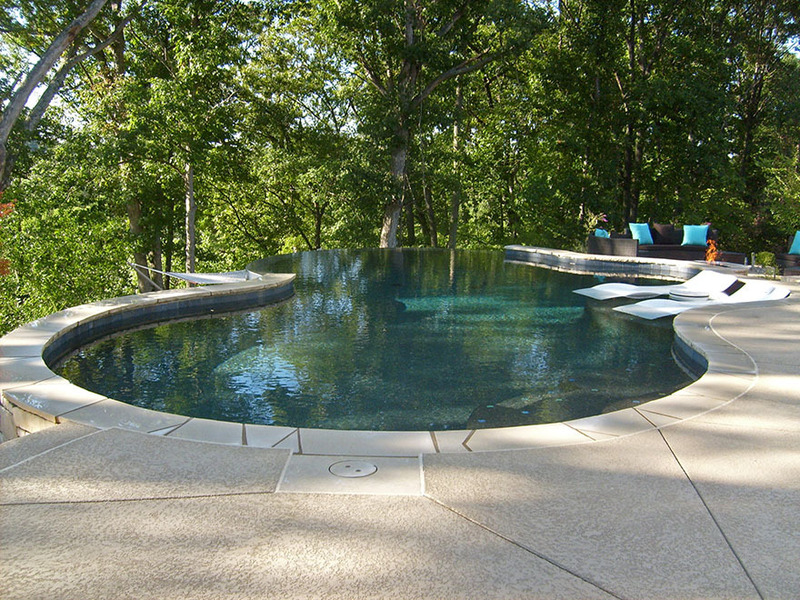 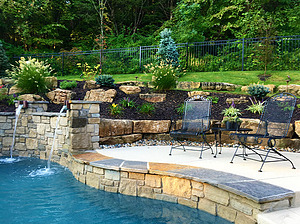 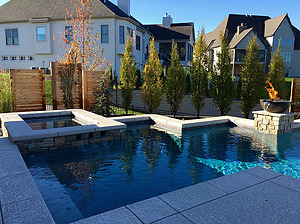 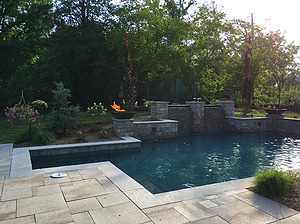 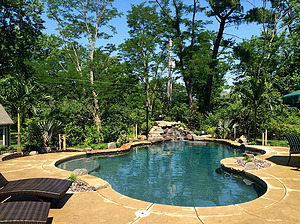 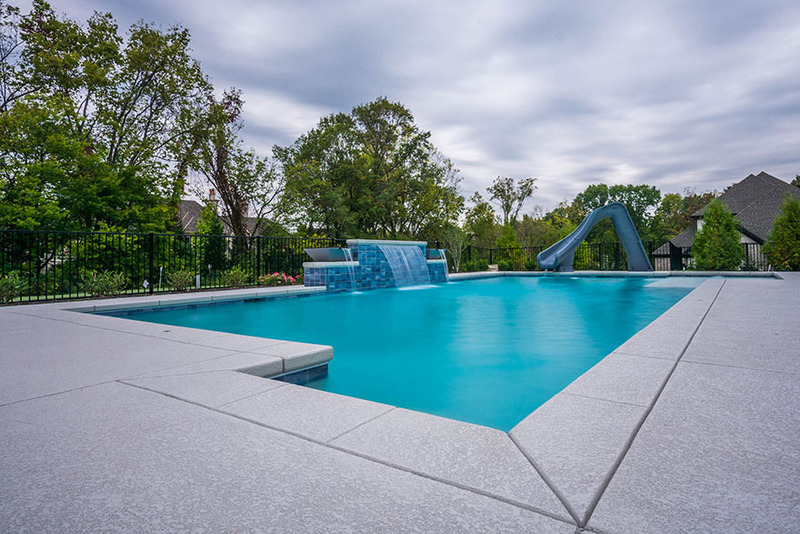 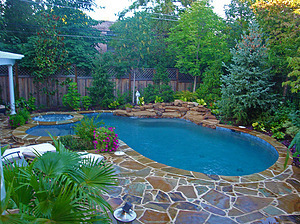 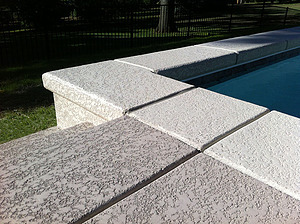 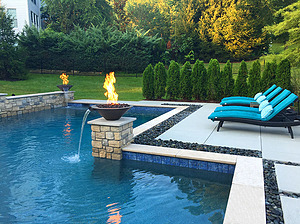 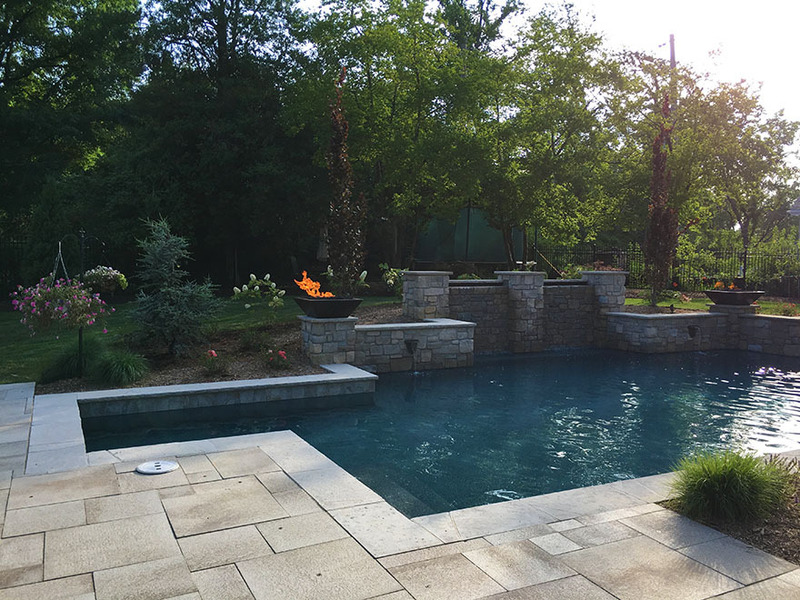 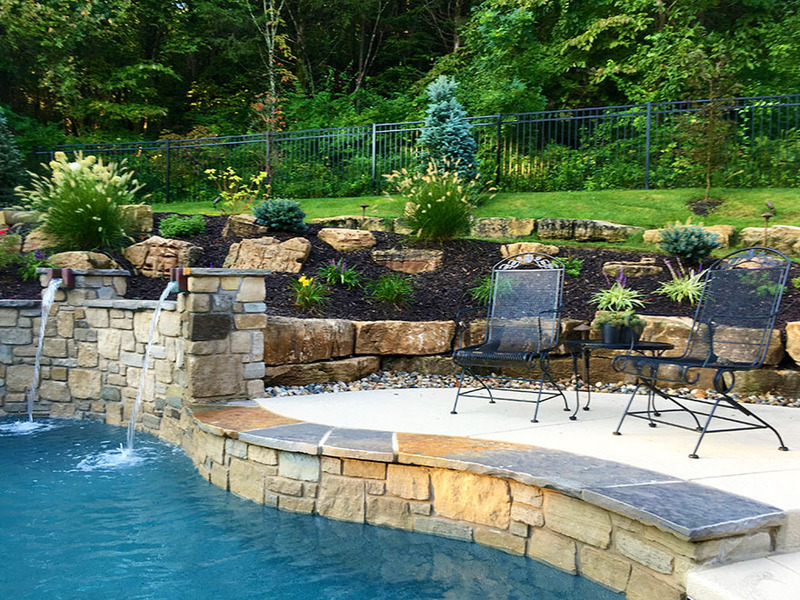 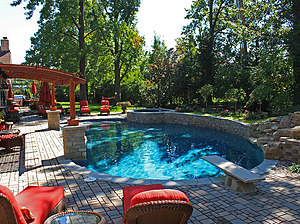 Baker Pool Construction offers a variety of material options for your pool deck and coping. 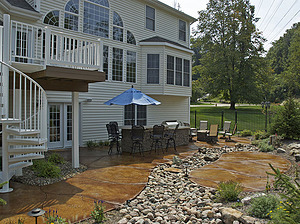 Textured decks are generally the most popular choice, as they are both attractive and practical. 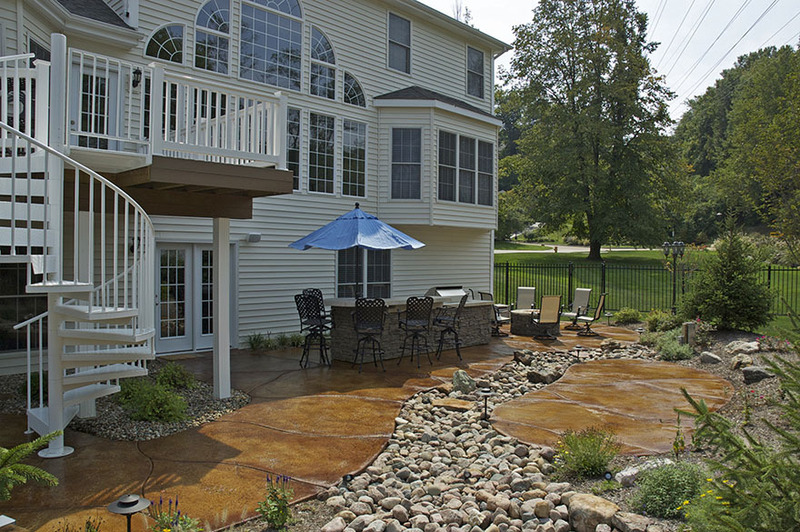 We use PermaCrete to seal our decks, which helps reduce heat by 20% - a huge benefit during sweltering St. Louis' summers! 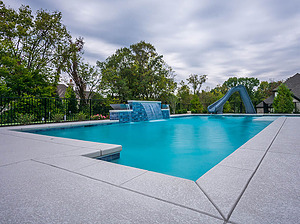 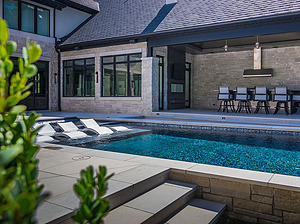 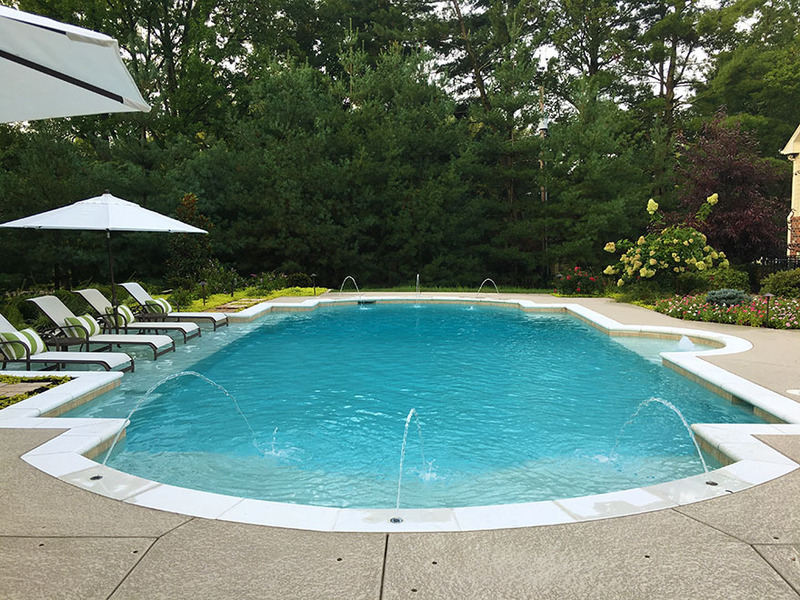 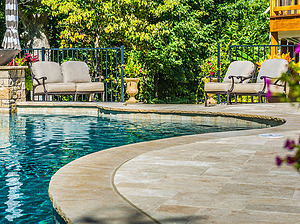 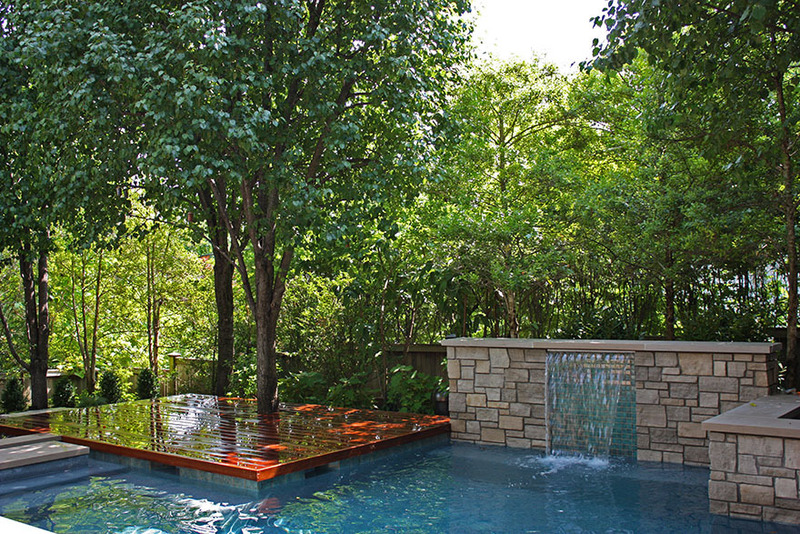 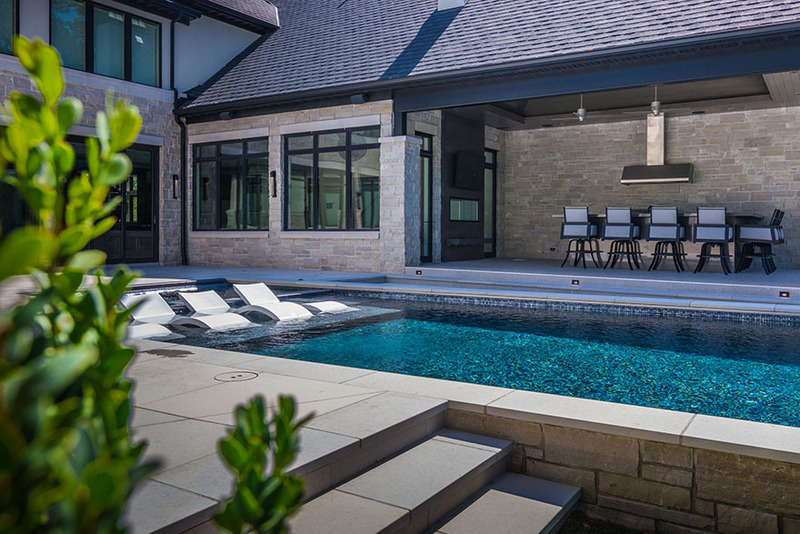 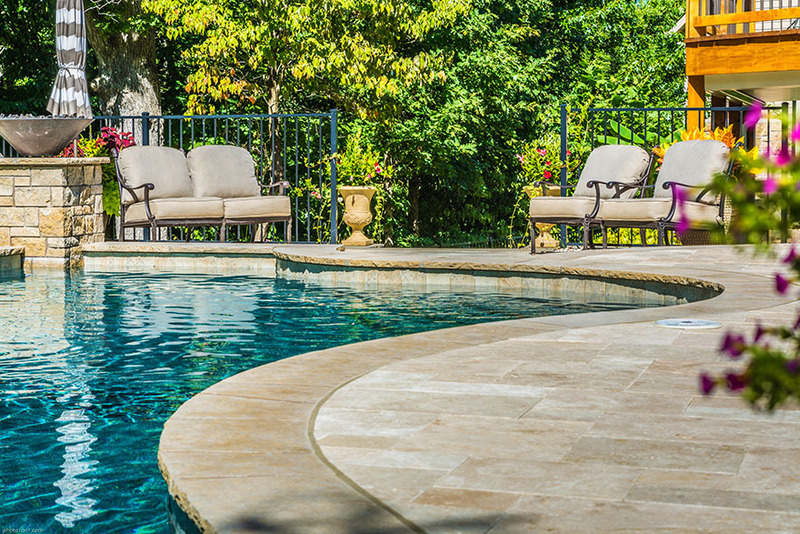 PermaCrete is also less slippery, more stain resistant, and comes in an array of colors, making it easy to incorporate into your custom pool design. We also offer other deck and coping options such as paver stones and flagstones. 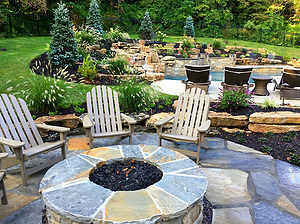 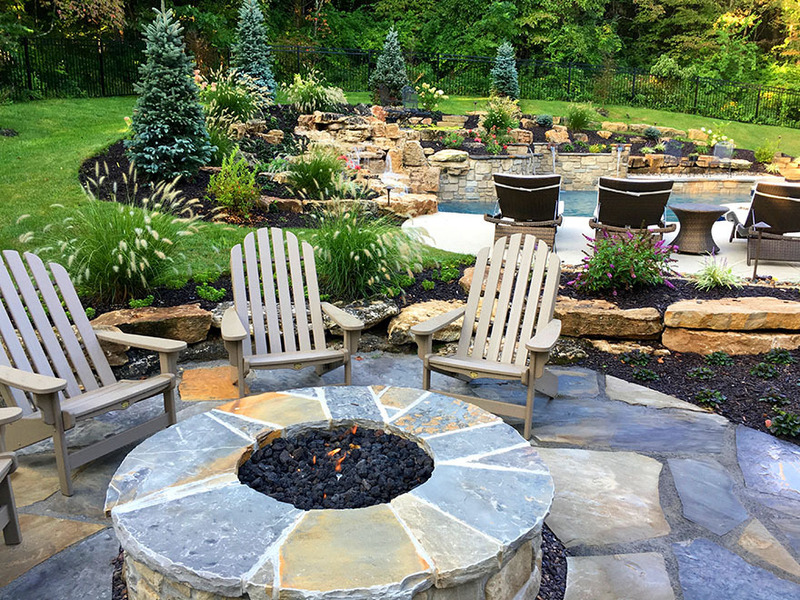 These materials can be used to achieve a unique, dramatic look for your new outdoor entertainment area.